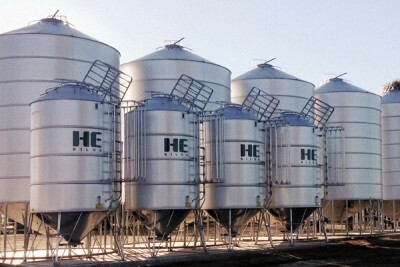 HE Silos have been manufacturing grain storage products since 1969. We have a large understanding of client’s requirements and we are committed to provide quality products that are built to last our Australian environment. Please call our friendly staff or use our website enquiry form for a quote. HE Silos offers clients a range of optional extras to suit their needs. For more information on aeration & fumigation please view our Sealed Silos, Aeration & Fumigation page. We offer clients a large range of different silo models however if you require something specific we can build to your needs. Our custom designs have catered to bakeries, olive pulp mills, universities, schools and many more industries along the way. 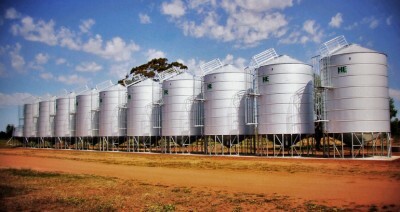 Please let our staff know upon ordering if you require your silo to be built a certain way. 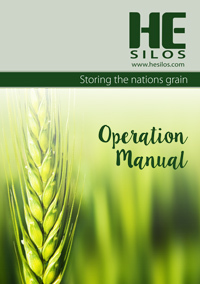 Tonnes are based on wheat weighing at 820kg per cubic metre. Bulk densities are to be used as a guide only, tonnes are approximate.